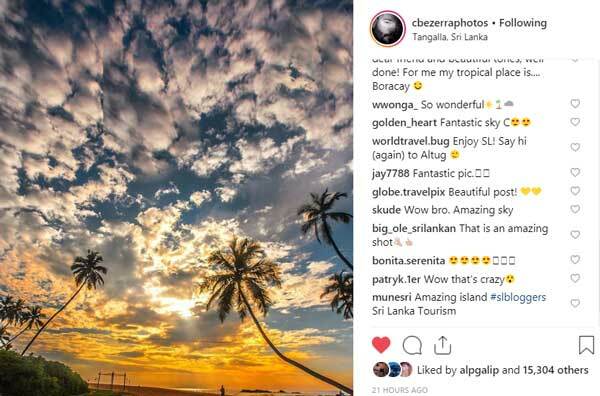 The Visiting Bloggers Program by Sri Lanka Tourism Promotion Bureau kicked off its influencer driven destination promotional campaign for the year 2019, by inviting six of world most renowned destination Instagram accounts representing USA, Singapore, Cyprus with a collaborative reach of over 22 Million (followers) covering Europe, USA, UK, India, Australia. 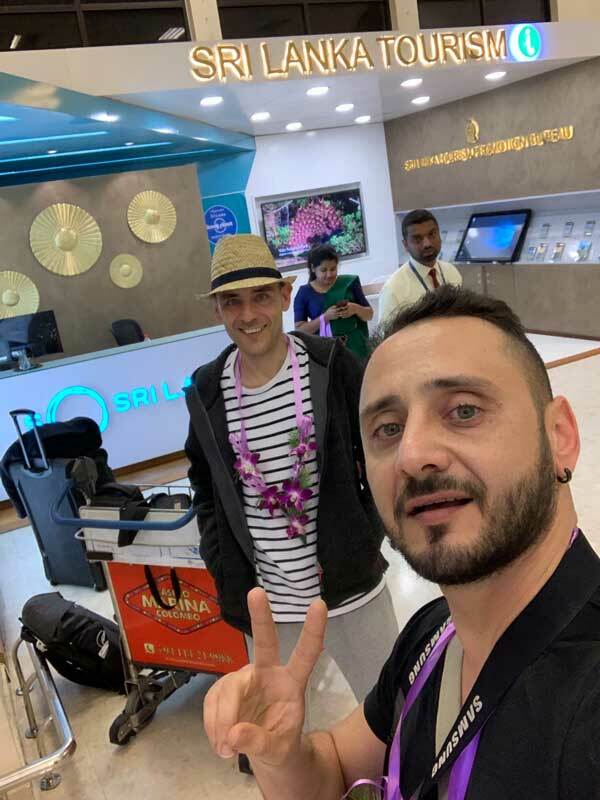 “There are around 1 Billion Instagram accounts in the world and as first generation Instagrammers we have been working with many global travel brands in over 50 countries but Sri Lankan is Special. 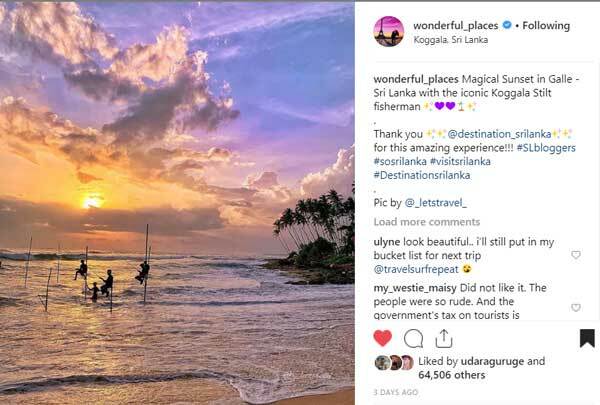 Its beaches are filled with colours and is diverse, compactness makes Sri Lanka our top list destination,’’ said Suzanne & Isaac from Wonderful_Places (https://www.instagram.com/wonderful_places/) with 12 million engaging followers which is considered to be one of the top 500 Instagram accounts currently in the world. Altug Galip who goes as ‘’kyrenian’’ (https://www.instagram.com/kyrenian/?hl=en ) on Instagram is another Cyprus based first generation Instagrammer with a followership around 1.3 Million. By travelling all around the globe seeking for amazing locations for photoshoots, he stated that Sri Lanka is one of those few islands which really stole his heart. With a great passion for destination Photography Mr. Galip further stated that Sri Lanka itself is piece of Art with so many colours. 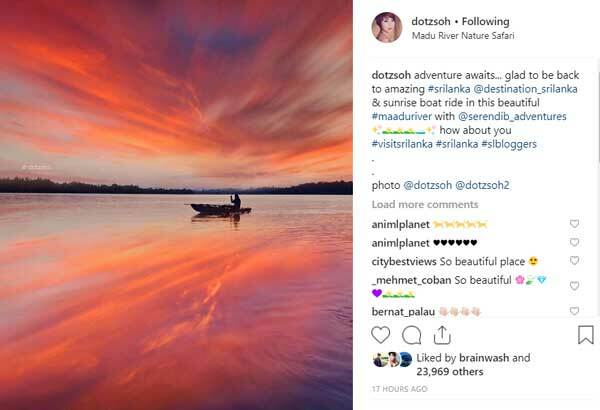 Dorothy Soh (https://www.instagram.com/dotzsoh/) from Singapore with 1 Million followers mainly from Singapore, USA, Turkey described Sri Lanka as a destination which has so much to offer for global travel world and been under the radar over the years. She further stated ‘’It is the time to shine for this beautiful destination and Instagram will be the best social media platform to show your rich diversity’’. Claudio Bezerra from USA (as cbezerraphotos on IG) and Alp Galip from Cyprus (as fantastic _ earth on IG) were collectively given 3.4 million global reach mainly covering UK, USA, India, Italy, Brazil, etc. 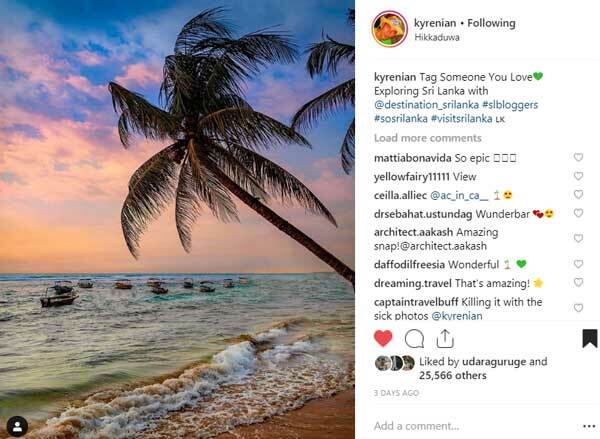 This tailored destination promotional travel program designed by Sri Lanka Tourism for these high profile Instagram travel influencers covered a combination of popular & lesser known travel content. The Program covered the Edge of Southern Coastline from Tangalle, Hambanthota to amazing central highlands including Knuckles Mountain Range (Manigala, Sera Ella, Riverstone, etc.). 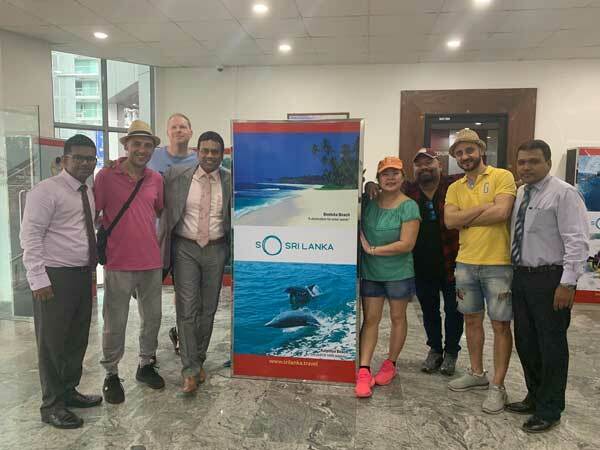 Sri Lanka Tourism expects these Influencer promotional program to create social media visibility by making creating awareness and most importantly branding Sri Lanka as a holiday destination. Chairman Sri Lanka Tourism Mr. Kishu Gomes welcomed the influencers and had a fruitful discussion in promoting Sri Lanka via digital travel influencers. Group of Local Industry partners including Jetwing Hotels, Amaya Hotels, Anathara gave extended promotional support to undertake this destination promotion. 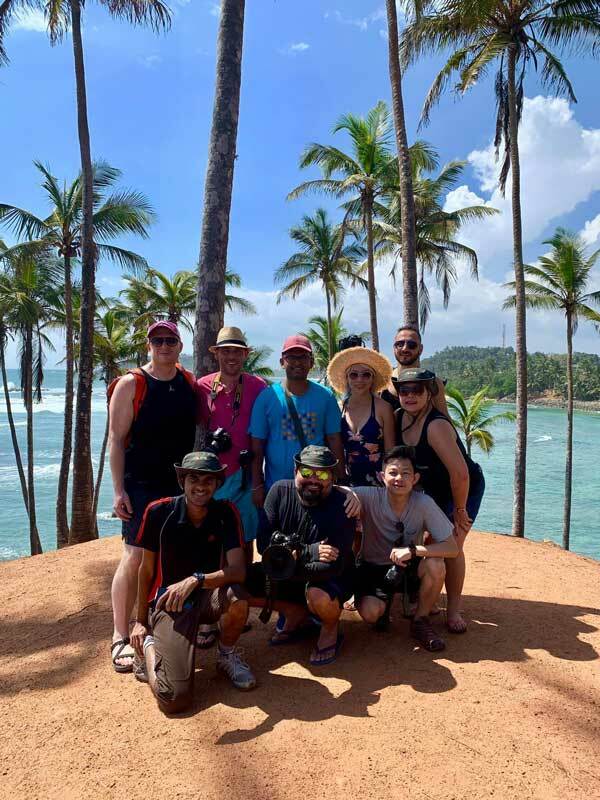 At the end of 2018, by hosting 48 high profile international travel bloggers, influencers, Sri Lanka Tourism Visiting Blogger Program gained total reach of over 35 million globally, with an engagement about 5 million. The total number of content developed was well over 700 including YouTube videos, IG posts, Facebook content and various blog articles on nature, wildlife, culture, lifestyle, culinary, Ayurveda, beaches, etc.